Written by LindseyReilly. August 20, 2014. 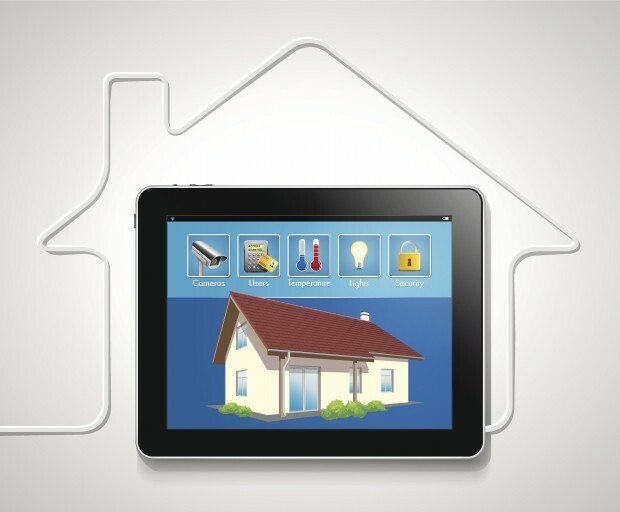 Smart home technology is on the rise. To some it may still seem like a thing of the future - a hypothetical possibility made for The Jetsons. Now that smart phones are a staple for most of us, the next step is, naturally, to connect them to everything else that is important to us. And as our lives become more fast paced, we need our technology to keep up with us. Here are some of the home automation gadgets we are looking forward to. 1. Chai Energy. Launching in about 2 months is Chai Energy. This technology is truly the definition of "smart home." If you ever wished your house could communicate with you, well, soon it can. It tells you if your appliances are working differently than usual, alerts you if an appliance is on while you aren't home, and most importantly it helps you to save money. Watch the video here to see Chai's amazing features. 2. Novi Security. A simple, inexpensive, and reliable security system will be on its way to homes in 2015. Novi gives you more peace of mind and less frustration than other systems. Because it connects to your smart phone, you have more control over how Novi deals with possible threats in the home. If Novi spots something out of the ordinary it will take photos and send them to your phone. From there you can decide how to respond. Visit their website to see more. 3. Plum. With this system you can control the lights in your home from anywhere with your smart phone. Not only is it really handy (you realize you left the kitchen light on an your already in bed), but it's cost effective and safety oriented. You can monitor your electricity usage, which is great for budgeting. You can also turn all the lights on in your house if you hear a break-in, or you could even make it look like you're home when you're on vacation. It's super easy to use and will make a great addition to all homes. Check it out here. 4. Sentri. This device gives you a much deeper look into your home. Not only does it track temperature, but it shows you the humidity as well as the air quality. It also alerts you of any irregularities in your home, such as security issues or temperature changes you didn't authorize. You can even control other smart devices from Sentri. See more here. 5. Nest Protect. We've always been huge fans of Nest. The Nest Protect is a smoke and carbon monoxide detector. The other day I burnt some toast and the smoke alarm went off, so I took it off the ceiling and turned it off. That is extremely dangerous, but so many people are guilty of this. If you had Nest in your home, the next time you burnt the toast, the device would give you a Heads-Up so that you can deal with the situation before an alarm goes off. That's just one way the Nest is providing innovation to smart homes. Read about their many features on their website. Reilly Painting and Contracting, your Home Mechanics are smart home enthusiasts. If you are looking to set up some of these new gadgets but don't have the time, give us a call. We'll get you started with a smarter, safer home. Tags: best smart home gadgets, cleveland contracting companies, Cleveland Contractors, home automation, home automation trend, Home Contractors Cleveland, home technology trend, new smart home apps, smart home technology, technology for the house.